Mrs. DiNello starting teaching at Spring Brook School in 1996, after prior teaching experience in Hinsdale – Dist. 181 and Naperville – Dist. 203. She has enjoyed watching numerous families send their children through Spring Brook! She enjoys teaching students the importance of exercise and nutrition and loves reading about student's athletic accomplishments as they progress through the district. She appreciates the love for fitness and exercise she sees modeled by the Spring Brook Community. Mrs. DiNello graduated with a BS in Physical Education and Dance from the University of Iowa, a MS in Physical Education from NIU, and has her health certification. In her spare time she enjoys biking, tennis, swimming, boating, reading, decorating, furniture restoration and spending quality time with family and friends. She is an avid Big 10 Football fan (Go Hawks) and a Chicago Sports Fan who thoroughly enjoyed watching the Cubbies win the world series! 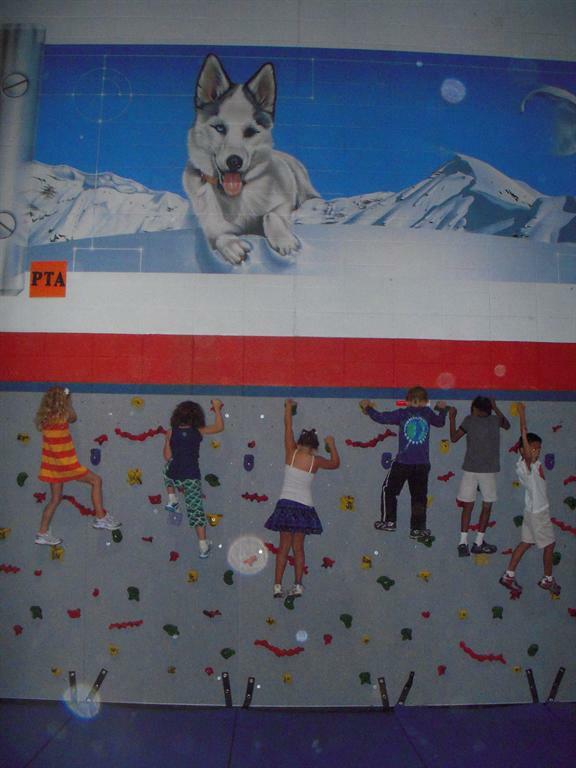 · Basic fitness skills will be introduced in K. 1st grade will be tested in the spring for the first time. Results will not be sent home until 2nd grade. · Manipulative Skills: throwing, catching, striking, kicking, dribbling, and volleying using various equipment. · Introduction to team sports while working on basic skills that relate to each sport through drills and modified games. An emphasis on good sportsmanship and “If you had fun, you won!” approach will be used. Sports included are: volleyball, basketball, flag football or soccer, floor hockey, and softball or track and field. · Team sports are continued; basic skills are practiced in small group format prior to playing the sport. Strategies will be discussed with an emphasis on good sportsmanship. An “if you had fun, you won” approach will be used. Sports included are: flag football or soccer, volleyball, basketball, floor hockey, and softball or track and field. · Gymnastics/tumbling is progressing with the grade level. · Health Concepts – muscle groups, circulatory system, nutrition, and heart healthy lifestyles are discussed, and heart rate is counted and checked. Written quizzes will be included on fitness concepts and heart concepts. · Team sports are continued in 5th grade. Sport skills are practiced, strategies are discussed and games are played with modified rules. An emphasis on good sportsmanship, trying your best and “if you had fun, you won” approach is continued. Sports included are: flag football or soccer, volleyball, basketball, floor hockey, and softball or track and field. · After School intramurals will be offered through -out the year. Stay tuned to the website for more details. · Rhythms and Dance - Emphasis will be placed on students working in small groups to create a 32 count dance, using skills taught in previous years or dance moves they know. · Health Concepts – Nutrition, circulatory system, and healthy lifestyles are continued with more emphasis on the dangers of smoke and drugs, heart rate is counted and tested. Cognitive tests will be given to students on fitness concepts and heart healthy living. · Physical Fitness – Fitness Gram will be used starting in 5th grade and continuing through high school. Computerized results will be sent home in the Fall and Spring. Tests will include: push-ups, curl-ups, sit and reach, pacer run, and the 1 mile endurance run.